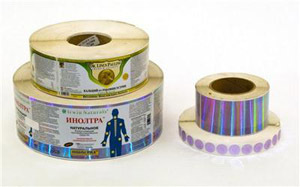 As part of a complete line of design, packaging, printing, screening and fulfillment services, Action Packaging offers a range of labels and custom labels for virtually any commercial and industrial application including holographic or tamper evident labeling. 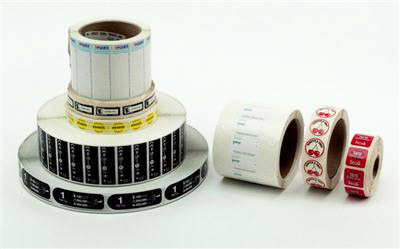 Our capabilities include labels up to eight colors and 13 and 1/2" wide, in almost limitless quantities. Action Packaging custom labels are available – and can be delivered – in configurations including rolls, sheets, or fanfold forms (with continuous pin feeds, for use on high speed labeling application and placement systems) using foils, papers and films (in a wide range of styles and thicknesses). Action Packaging uses only the highest quality foils, films and papers, from well-known suppliers including 3M, Faston, and Avery Dennison, to name a few. To meet the needs of current and prospective customers, Action Packaging offers a wide range of custom labels and specialty labels, as well as multi-color flexographic printing. Flexographic printing is a process that uses a raised print pattern roller with a flexible surface that is normally coated with quick-drying ink. The roller travels over the material (foil, film, plastic or paper), printing a sharp image. 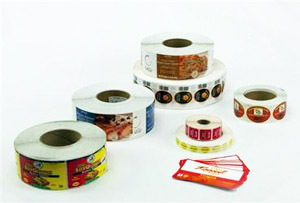 Action Packaging uses flexographic printing for labels, as well as other end-product packaging printing. 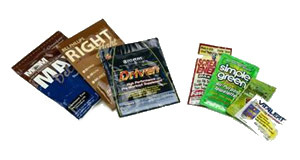 Action Packaging can design and produce practically any label that your application calls for. From initial concept to full production, the specialists at Action Packaging can meet and exceed your turnaround time requirements. 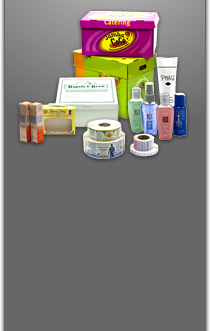 Call or email the Action Packaging team today for all your labeling orders – no matter how small or large!